Happy Wednesday everyone Janie Here to share a very sweet Christmas card with you. I was fortunate enough to work with Frances Mary II by Kathy Cyr. I love this image, her and her kitty are just to cute. Do forgive me for putting up the poem but it ties in with my card. 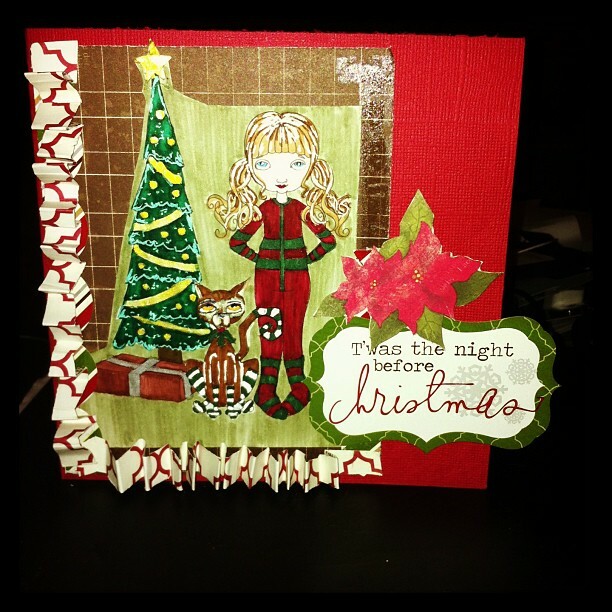 I used Echo Park's A Very Merry Christmas with this piece I created a fan fold on the card in two different places to give the card so more texture. The folding is brilliant, Janie!